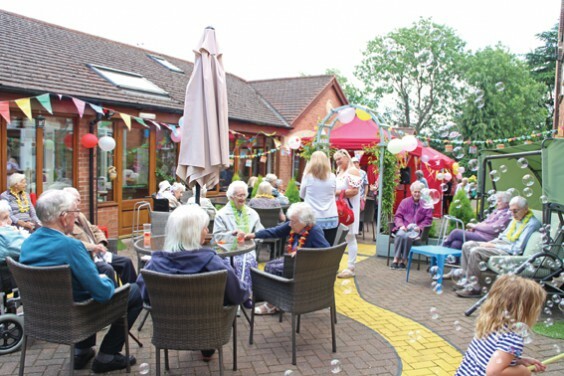 The Lawns care home in Alvechurch held a tea party to celebrate its 60th anniversary, with plenty of treats, games, and songs from village musician John Dale. Residents, families and friends enjoyed the sunshine in the home’s sensory garden, created last year. The garden, which gives residents a variety of sights, sounds and smells, all connected by a “yellow brick road”, is just one of the special features at The Lawns aimed at helping those with living with a dementia – other novel ideas include a corridor of vintage shop-fronts to bring back memories, while there are plenty of fun activities for residents to take part in.